Hope you are having a wonderful weekend, friends!! As you might know last weekend through early last week I was in LA at the Design Bloggers Conference and had so much much fun, not to mention learned a lot of great blogging stuff and (on a side note), the best part was that I got to hang out with my blogging besties! Well, after a long 4 days there and when it came time to travel home through 3 airports to include a total of 6 hours worth of lay-overs, flights on 2 planes, and a full 16 hour day of travel, I wanted nothing more than to be comfortable and by the end of this crazy long day I knew I would have to share my best spring kicks with you!! Here is one of my favorite photos from the trip at The Ivy in LA in case you missed my stories on Instagram last week. 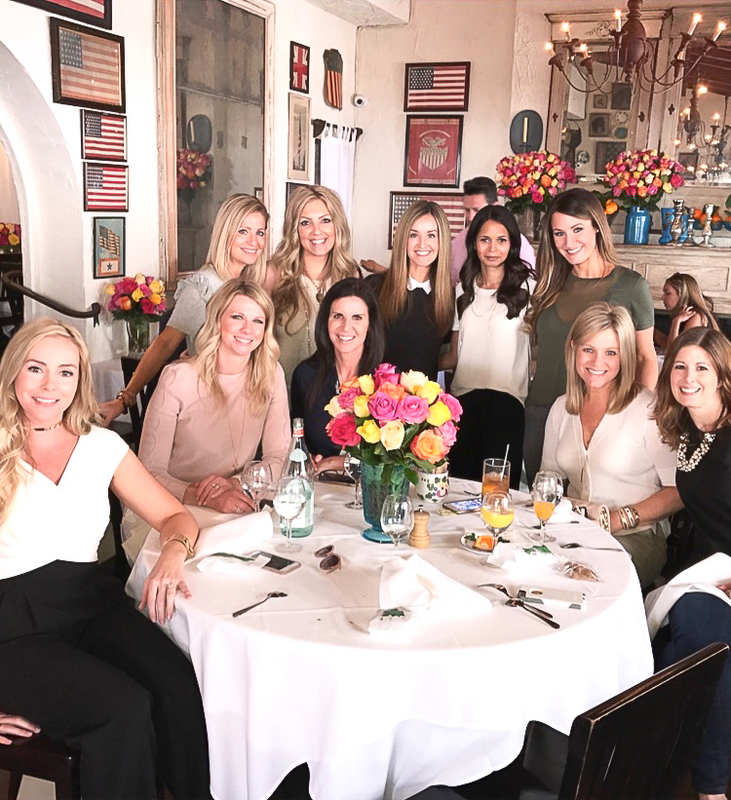 After classes were over on the final day we headed out for a bite to eat and to do a little site seeing on Rodeo Drive…had so much fun with these girls and I thought you might enjoy seeing a fun photo of us out on the town in LA!! So, as I prepared to travel to the airport the morning I was to leave for home I realized the shoes I packed to travel in were brand new and I began to panic a little as I realized that even though they looked comfortable, they might not actually be comfortable. Of course I tried them on when I purchased them but just trying them on for size can’t even compare to wearing them for hours on end while traipsing through 3 airports during a 16 hours day. Once I got them on though and began to walk around my fears completely went away and I’m happy to report that by the time I arrived back home at almost midnight that evening, my feet were still not hurting and still feeling completely comfortable! And, the best part for you guys is that they are on sale this weekend at 25% off…Woot, woot!!! I also rounded up several other cute sneakers that will be great for spring this year while you’re shopping (and several of which are on sale right now too!). I’m eyeing those velvet numbers for my spring wardrobe as well. Happy Shopping! !